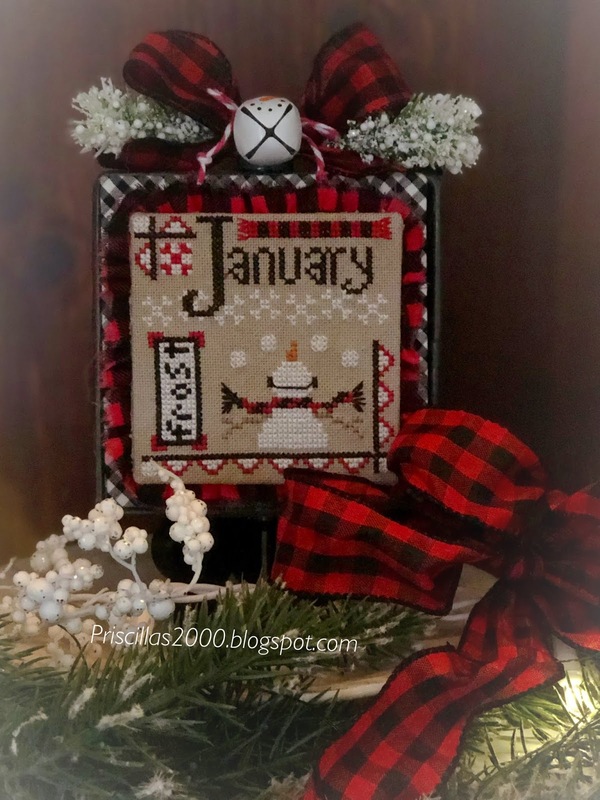 Priscillas: A Little January Finish.. 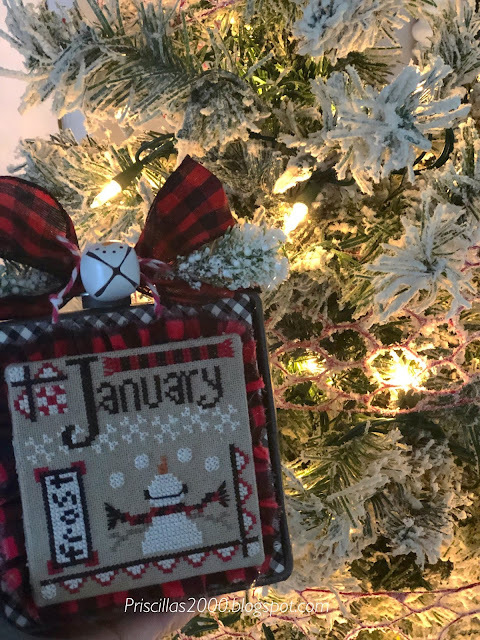 I stitched this little Hands on Design Year of Celebrations January..I switched up the colors and I do love how it ended up! I used a magnet on top of the box for the bow embellishments and a magnet glued to the gingham to attach the stitching .. 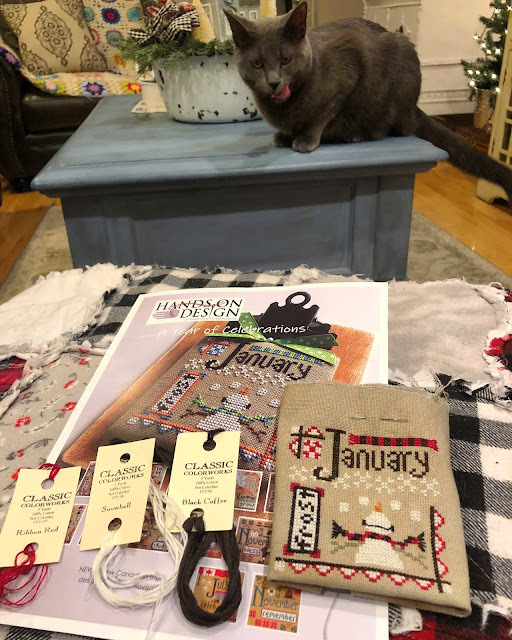 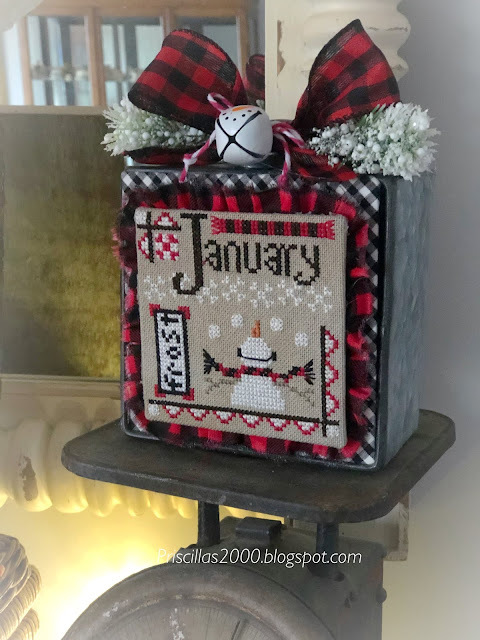 I tore a strip of buffalo plaid fabric and ruffled it around the piece .. and added a bow of buffalo check .. some flocked greenery and one of the snowman bells tied on with baker's twine ..It is very cute! 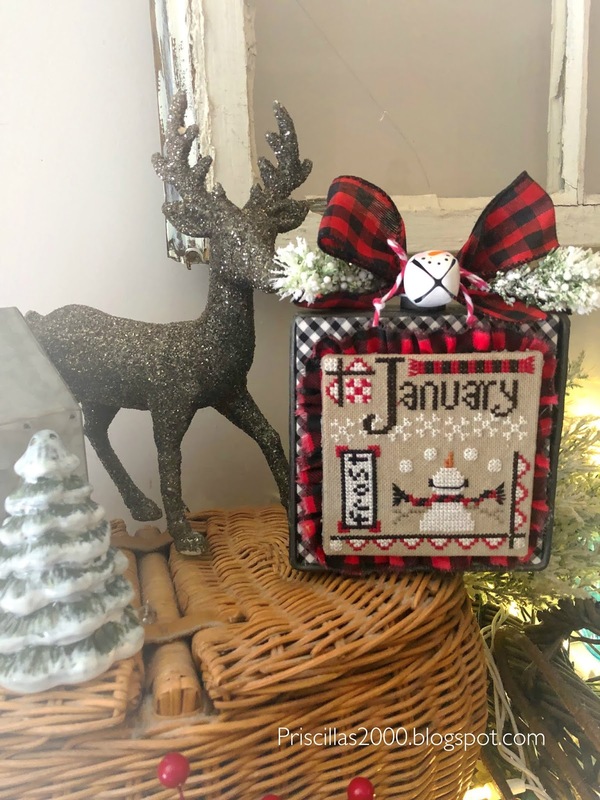 I plan to stitch almost all of the other month charts .. so they can be added to this box with no problem! That is so cute and I love the snowman bell!